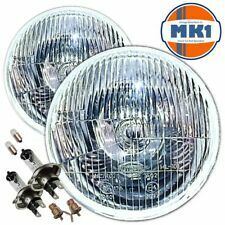 These will replace your dim sealed beam units like for like and make you headlights 50% brighter. Classic Car Headlight Conversion Kit. RÉGLAGE ÉLECTRIQUE DE LA HAUTEUR DES FEUX. Welcome to my shop , the following is specific information of the goods in this listing. ***************************GRADE A ************************ ***************************GRADE A ************************ ***************************GRADE A ************************. CONVIENT POUR R55 R56 R57. TECHNOLOGIE A TUBE LED PUISSANT. MOTEUR DE RÉGLAGE ÉLECTRIQUE DE LA HAUTEUR DES FEUX INTÉGRÉ. 2002-06 Mini Cooper, Cooper S (R50/R52), Convertible (R53). MINI COOPER 05.2001-10.2006. Parking light: Halo Rim LED. open the case or. We are here to help you and certainly always to do it! Regulation: electrical (with build in electrical adjuster). High beam: H1 included. Projector headlights with dual halo rims. Parking light: Halo Rims. BMW MINI (COOPER) 05.2001-10.2006. We are here to help you and certainly always to do it! ANGEL EYES. Regulation: electrical (electrical adjuster is not included). R57: Cabriolet. R56: Coupé. Mini R55: Clubman. Lève vitre avant droit. Il est vendu sans le moteur de lève vitre. Le lève vitre est d'occasion. 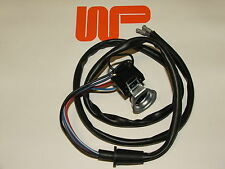 Wipac Classic Mini Halogen LHD Headlight Conversion Kit. 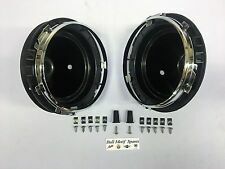 Two 7"Left Hand Drive Halogen headlight units. 60/55w halogen bulbs that are 50% brighter than the original Sealed Beams. Features: 100% brand new and high quality! 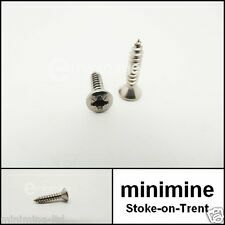 Mini,lightweight which is protable to be taken. It is super bright and low power consumption. It has been fully tested and it is so safe for using. It is durable and long lasting. Easy to use and to operate Specifications: Item Size:16*4.5*7.5cm Package Size:17*8. MINI F55, Cooper, 5 portes, B38, EUR, (XS51). MINI F55, Cooper, 5 portes, B38, EUR, (XS52). MINI F55, Cooper, 5 portes, B36, EUR, (XU11). MINI F55, Cooper, 5 portes, B38C, EUR, (XU71). MINI F55, Cooper, 5 portes, B38C, EUR, (XU72). Features: 1. This product is made of high quality ABS plastic and very durable. 2. It can give your motorbike a superbright and unique glow. 3. The lasting working time of this turn signal is longer than incandescent bulbs. 4. The energy consumption of the light is very low. 5. The speed of response is faster than standard factory bulbs. 6. There is is no filament to burn out or be damaged by vibration. 7. It can fit for most motorcycle. .
Référence fabricant : 130732915301. E70 X5 3.0si SUV, N52N, AUTO. E70 X5 3.5d SUV, M57N2, AUTO. E70 X5 4.8i SUV, N62N, AUTO. BALLAST POUR FEU PHARE XENON. E92 328i Coupe, N52N. E92 328i Coupe, N51. E92 328xi Coupe, N51. 51137449207 - Front Black Grill x 1. 51712285495 - Rear Black Light Surround x 1. 51712285496 - Rear Black Light Surround x 1. 51137449209 - Front Black Light Surround x 1. 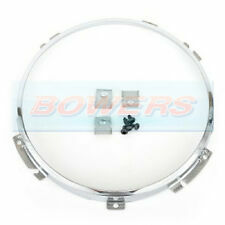 51137449210 - Front Black Light Surround x 1. 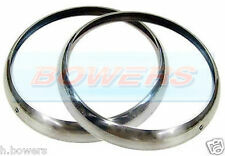 These will fit both right hand drive and left hand drive models. 51712285495 x 1 - Rear Left. 51712285496 x 1 - Rear Right. 51712355791 x 1 - Front Left. This is in order to provide an efficient service and avoid any confusion. For right hand drive vehicles. 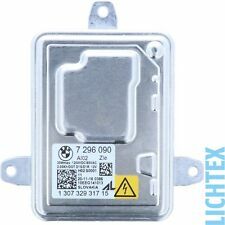 Part number - 51712457412. BMW 6 Series 2010 E63 [2004-2010] Coupe 630i Coupe 2996ccm 272HP 200KW (Petrol). BMW 6 Series 2010 E63 [2004-2010] Coupe 650i Coupe 4799ccm 367HP 270KW (Petrol). BMW 6 Series 2010 E63 [2004-2010] Coupe M Coupe 4999ccm 507HP 373KW (Petrol). This kit includes- 2x halogen units, 2x h4 bulbs, 2x sidelamp bulbs and holders, 2x rubber protective boots for the back of the unit. FULLY MOT COMPLIANT. 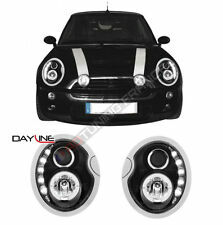 Classic mini halogen headlamp conversion kit. Features:1. This product is made of high quality ABS plastic and very durable.2. It can give your motorbike a superbright and unique glow.3. The lasting working time of this turn signal is longer than incandescent bulbs.4. The energy consumption of the light is very low.5. The speed of response is faster than standard factory bulbs.6. There is is no filament to burn out or be damaged by vibration.7. 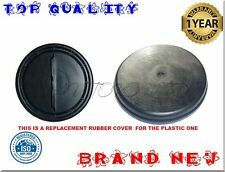 It can fit for most motorcycle.Description:This product is made of high quality ABS plastic and very durable in using. Its 6 LED lights in each lamp can give your motorbike a superbright and unique glow whenever you use your turn signals. The lasting working time of this turn signal is longer than incandescent bulbs and its energy consumption is very low. The ind. Mini cooper S R53 du 04/2001 au 10/2006. Mini one cooper R50 du 04/2001 au 10/2006. Affectation véhicules . MINI COOPER CONVERTIBLE R53. BALLAST XENON HAUTE QUALITE ANTI SURCHAUFFE. MINI COOPER COOPER S R50 R52. SERIE 6 E63 E64. SERIE 3 E46 (coupe, décapotable compact touring). CLASSE E W210. CLASSE S W220. Mini One - Cooper de 05/2001 au 06/2004. Mini Cooper S de 05/2001 au 06/2004. Optique avant Droit H7 H7 electrique pour KRUCK AUTO S.A.R.L. R53 Coupé: Cooper S. R52 Cabriolet: Cooper, One, Cooper S. R50 Coupé: Cooper, One 1.4 / 1.6. Le thermostat est une pièce neuve, non d'origine MINI. Le thermostat correspond aux voitures suivante. Wipac Classic Mini Halogen H4 Headlight. 7"LEFT HAND DRIVE Halogen headlight unit. or replace your standard Halogen Headlight. 60/55w halogen bulbs that are 50% brighter than the original Sealed Beams. 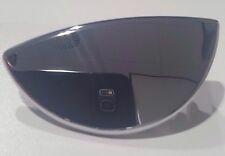 Mini Cooper S R53 genuine DRIVERS side front headlight, used but in working order. The complete car has been stripped for spares and all parts available for sale. Nissan R35 GTR, Nissan Skyline (R33 GTS-t RB25DET and R33 GTR RB26DETT), 350Z (UK and Japanese Fair lady), BMW E46 M3(S54 Engine), BMW E92 M3 V8 (S65 Engine), Vauxhall Astra VXR (H), Corsa VXR (D), Audi RS4 B7, Mini Cooper S (R53), Honda Civic Type R (FN2), Ford Focus ST MK2 and MK3. Je vends un optique de phare avant droit d'occasionde MINI. Ce sont des pièces d'occasion qui peuvent présenter des traces car elles ont déjà servi si vous désiré des pièces neuves rendez vous chez votre concessionnaire. Il s'agit d'un phare avant droit pour mini one année 2007 d'occasion en très bon état. 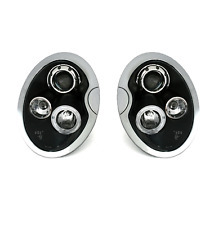 NEW PAIR OF WIPAC SPOT LIGHTS FOR CLASSIC MINI. ON THE GLASS ITS MARKED "WIPAC". "E" MARKED. Phare AVG pour mini one / mini cooper a partir de 2011. Mini Cooper S R53 genuine PASSENGER side front headlight, used but in working order. The complete car has been stripped for spares and all parts available for sale. Nissan R35 GTR, Nissan Skyline (R33 GTS-t RB25DET and R33 GTR RB26DETT), 350Z (UK and Japanese Fair lady), BMW E46 M3(S54 Engine), BMW E92 M3 V8 (S65 Engine), Vauxhall Astra VXR (H), Corsa VXR (D), Audi RS4 B7, Mini Cooper S (R53), Honda Civic Type R (FN2), Ford Focus ST MK2 and MK3. MINI COOPER F55 F56 F57 2013-2017. - ONLY FITS RIGHT O/S HEADLIGHT ( DRIVER SIDE FOR RHD VEHICLES AND PASSENGER SIDE FOR LHD VEHICLE ). Weiterhin punkten unsere LED-Blinklichter mit ihrem leichten und sicheren Einbau. Mini Cooper F55 F56 F57. LED Seitenblinker (Smoke). sicherer im Straßenverkehr unterwegs. E-Prüfzeichen, eintragungsfrei.